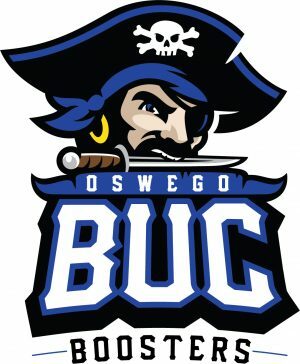 OSWEGO NY – The 11th annual Buccaneer Boosters Oswego High School Athletic Hall of Fame Induction Ceremony will be held May 3 at the Lake Ontario Event & Conference Center, according to Buccaneer Boosters President Sean Callen. The event will begin with a cocktail hour from 5:30-7 p.m., followed by the ceremony from 7-8:30 p.m.
An after-party will then be held at Alex’s on the Water following the event. The emcee of this year’s event is Mark Mirabito. Inductees will have presenters provide a short speech on their achievements and honors during their years at Oswego High School. Please RSVP by contacting the Oswego High School Athletic Office at (315)-341-2019. Tickets will be available for $25 per person at the door. According to Callen, attendees of the ceremony visiting from out of town are eligible for a reduced hotel fee from the Best Western Plus Hotel, and Quality Inn & Suites, at a price of $134 and $124 a night respectively. “The Buc Boosters are looking forward to honoring the 2019 inductees,” said Callen. “We anticipate it will be a wonderful evening and recognition for these individuals who made an impact on the Oswego High School athletic community. For further information contact Callen at (607)-327-2039.